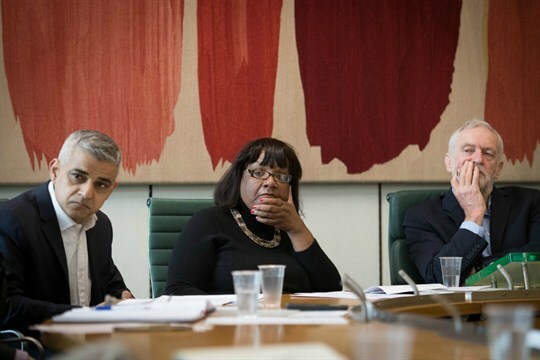 London Mayor Sadiq Khan, Labour Shadow Home Secretary Diane Abbott and Labour leader Jeremy Corbyn attend a roundtable meeting to discuss gun and knife crimes, London, April 10, 2018 (Photo by Stefan Rousseau for Press Association via AP Images). In this week’s Trend Lines podcast, WPR’s editor-in-chief, Judah Grunstein, and managing editor, Frederick Deknatel, discuss the foreign policy implications of the U.S. midterm congressional elections. For the Report, Dan Hancox talks with WPR’s senior editor, Robbie Corey-Boulet, about the stark social realities behind London’s drill music scene and why the music’s violent lyrical themes aren’t solely to blame for the city’s recent rash of knife attacks and violent crime. Why Are Violent Rap Lyrics Being Blamed for a Crime Wave in London?